Discussion in 'Announcements' started by Maggie, Aug 15, 2017. Hello everyone! We have a lot of updates that happened recently on both our SkyBlock Server and a few Pixelmon Servers! Yesterday August the 13th, our SkyBlock Server was down while it underwent through a lot of revamps! It is now open to everyone! Skyblock has also changed their Rank System to fit the Global Rank System we have on our other Vanilla Servers. If you were a player on Skyblock previously, you will get your ranks back as well as the items that come with it! Through out the next few days you will see features being added and bugs being fixed! We hope you enjoy our new and improved SkyBlock! If you already have the Technic Launcher downloaded, all you need to is look for the modpack! You will be installing the Mod Pack name "Pixelmon Dark" It will continue to update and downloads Pixelmon for you. Click that bar and type in "Pixelmon Dark"
When you click on the "Multiplayer" button, all you need to is add the ip (play.journeygaming.com) to our server! 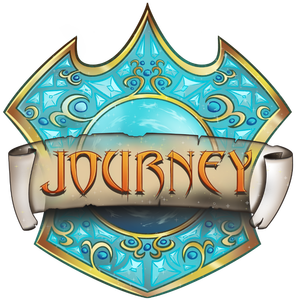 Alternatively, once you go into the "Multiplayer List" you should see Journey Gaming on the list! That is all you need to do join the servers with the latest modpack! So with the vanilla ranks, will we still need to rebuy our ranks if we had one in Skyblock and want to upgrade? I had Fenix in Skyblock and was given Champion, but I cant buy Champion to Hero or Legend. You'll need to contact your manager to assist you with this. Raven should be able to help you! Will it be possible to hatch legendaries from dittos on the multiplayer server of Pixelmon Dark? I've never been able to change the config for the pixelmon dark modpack before. Which version of forge is needed? You cannot hatch legendaries from dittos. The only ways to get a legendary is to open a crate, donate for one, have one spawn naturally, or a vote party. When you use the technic launcher, it does everything automatically so you don't have to worry about which forge version. Be sure to allocate more ram though.